It is reported that the views of tourists who visited different parts of the world were studied after numerous television programs on tourism and travel, shot by the channel on the most popular destinations. Remarkably, there are many historical places to travel in Turkmenistan for people who are interested in history. One of the most attractive historic monuments of Turkmenistan is the city of Altyn-Depe - what became known as the "Turkmen Stonehenge". The ancient city is dated by historians back to the Bronze Age (2300 - 1900 BC). Here, tourists can get acquainted with pictograms of ancient peoples, which resemble proto-Elamite and Proto-Sumerian "writing". Ancient cities of Parthia are of the greatest interest among the travellers, and particularly, its cultural capital – Ancient Nissa. The city and the fortress of the great Margiana will not leave any tourists indifferent. It was on this earth when Greeks and Romans first met the Chinese. In the year of 53 BC, the Roman legions of Crassus, who had been defeated in the Battle of Carrah, escaped from anger to this region. In turn, historical monuments of the Middle Ages abound in the Turkmenistan. In those years, these regions were second to none in the world in terms of the level of culture and the development of science. Ancient cities and the mausoleums of Il-Arslan, Tekesh, Turabek-hanim, the minaret of Kutlug-Timur, the mausoleum of Astana-Baba will mentally transfer the travellers to that era. 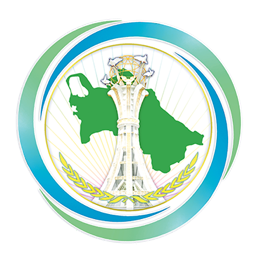 It is to be recalled that exactly a month ago, on the 1st December, Turkmenistan adopted a State Program for research and excavation of historical and cultural monuments along the Great Silk Road and popularization of cultural heritage.